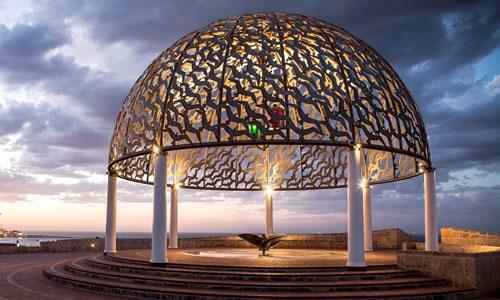 We've put together a list of must see local attractions in and around Geraldton. Belair Gardens Caravan Park is your central location to all must see attractions. 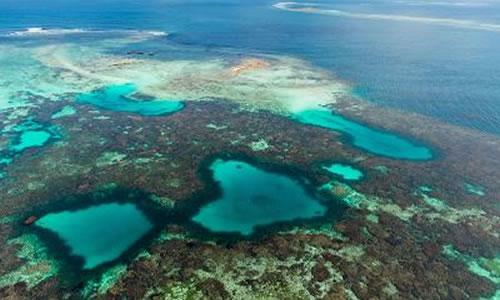 122 islands make up the pristine Houtman Abrolhos Islands. An archipelago with crystal blue waters and an abundance of sea life make a visit to the Islands a must for all visitors to Geraldton. 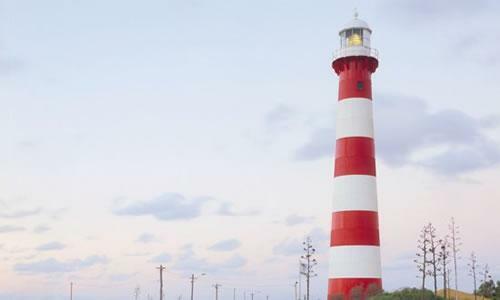 A 2 minute walk from the Caravan Park, the red and white candy stripes of Point Moore Lighthouse are a spectacular sight that stands out proudly amidst the Geraldton landscape. Standing 34 metres high it was the first all steel tower built on the mainland of Australia, back in 1878. With its bold colours, the lighthouse has become an icon of the port town of Geraldton. 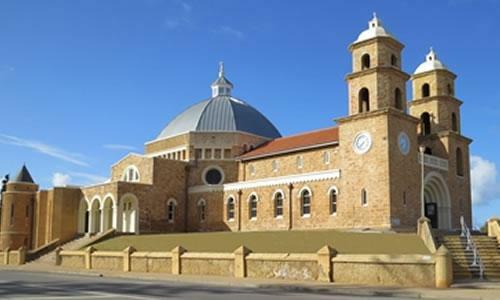 The St Francis Xavier Cathedral was designed by Monsignor Hawes (Priest and Architect), who arrived in Geraldton as a parish priest in 1915 – the building is generally regarded as one of his finest works. The foundation stone was laid in 1916 and the building completed in 1938. 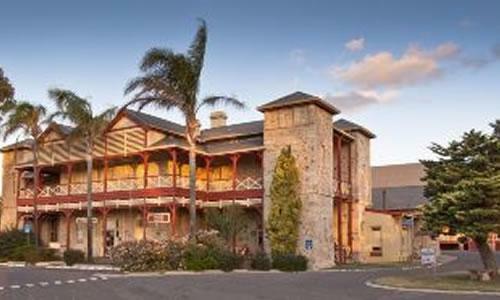 Overlooking the Indian Ocean, the Museum of Geraldton celebrates the rich heritage of the land, sea and people of the Mid West region. Discover ancient landforms, Yamaji history and culture, and the region’s unique natural landscapes and marine environment. 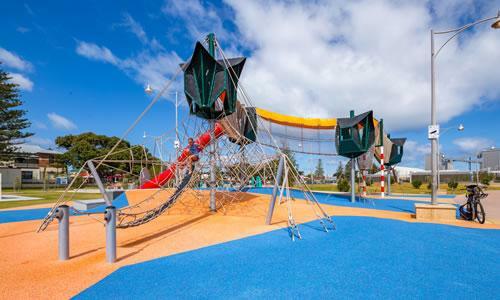 Experience Geraldton’s fantastic new play area with a giant playground and water park. 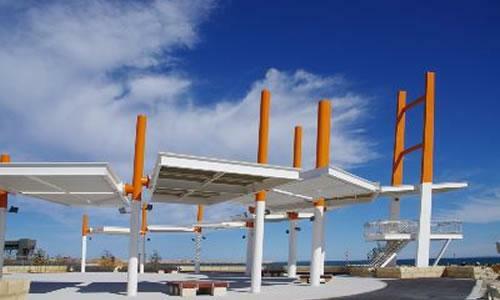 The playground and water park sit in a grassed picnic area overlooking the beach and the port. The playground has three separate areas, catering to children of every age! 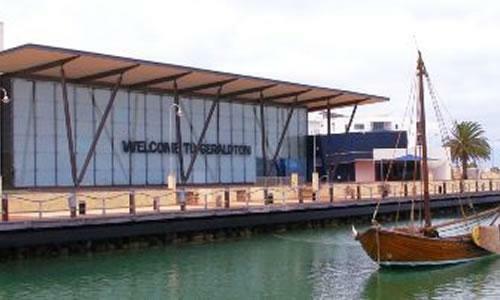 The new Esplanade located at the southern end of the Foreshore is a popular destination for tourists and Geraldton residents. The Esplanade offers views of the City, Port, Champion Bay and Moresby Ranges from a 360 degree viewing platform at its far end. The area also boasts barbecue facilities and landscaped walkways. The Geraldton Heritage Trails will give you an insight into the changes to the region over time, and all loop back to their starting point. 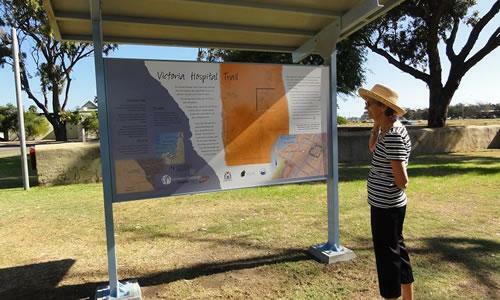 The Geraldton Heritage Trails brochure is available at the Visitor Centre. 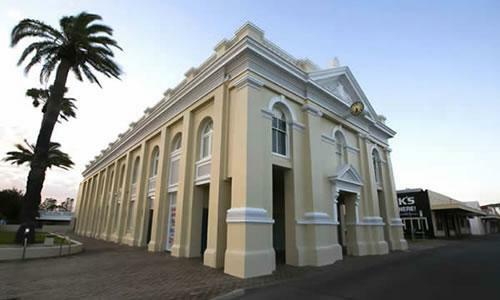 Built in 1858 it was operational until 1986 it is only exceeded by Fremantle as the longest serving prison. It is now maintained by the Geraldton Crafts Association and houses an excellent gemstone display.